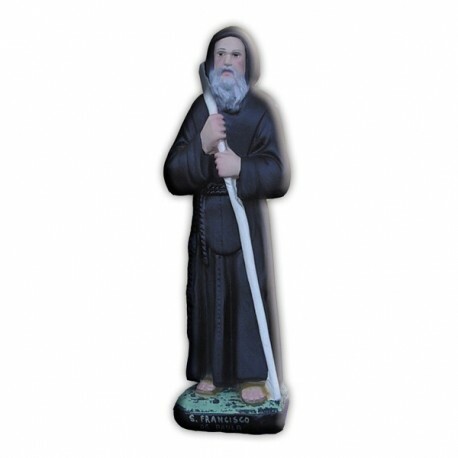 Statue of Saint Francis of Paola of 20 cm. Saint Francis of Paola, foundator. He lived between 1416 and 1507. He is commemorated on the 2nd of April. He was born in Paola in Calabria and when he was 14 years old he decided to live as an heremit near his town. Many disciples followed him up to convince Francis to found a new order, the “Minor Friars”. In 1474 the order was approved by pope Sisto IV and the Pope dispatched the saint to France, to visit the King Lewis XI who was dying. The successor wanted him in France, where Francis remained until his death in Plessis. He was canonized in 1519 and in 1943 he was proclaimed patron of the sailors. 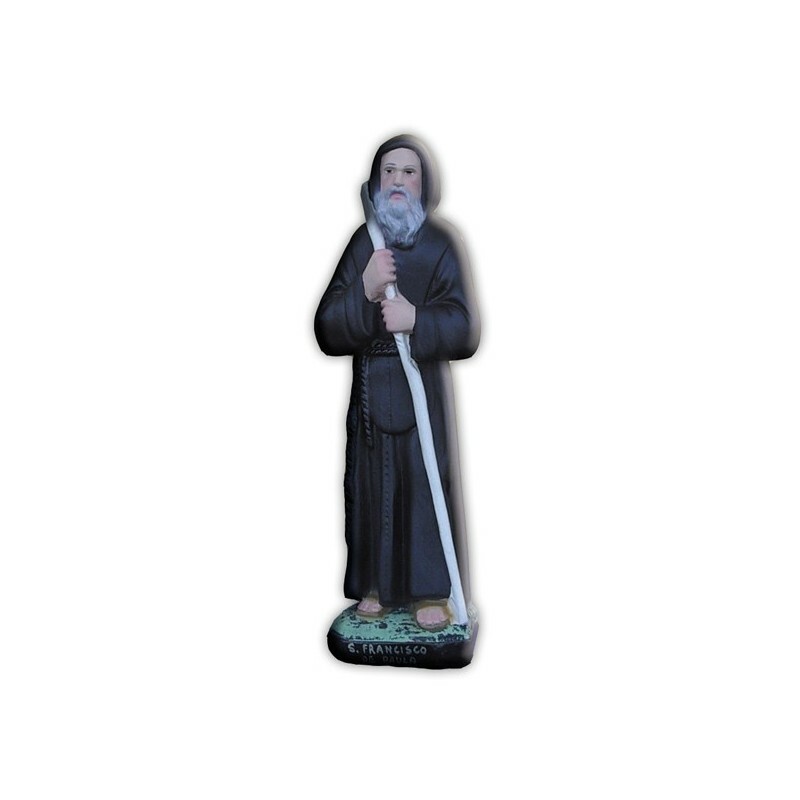 He is illustrated with monastic clothes, with a long walking stick and a hearth on the breast.